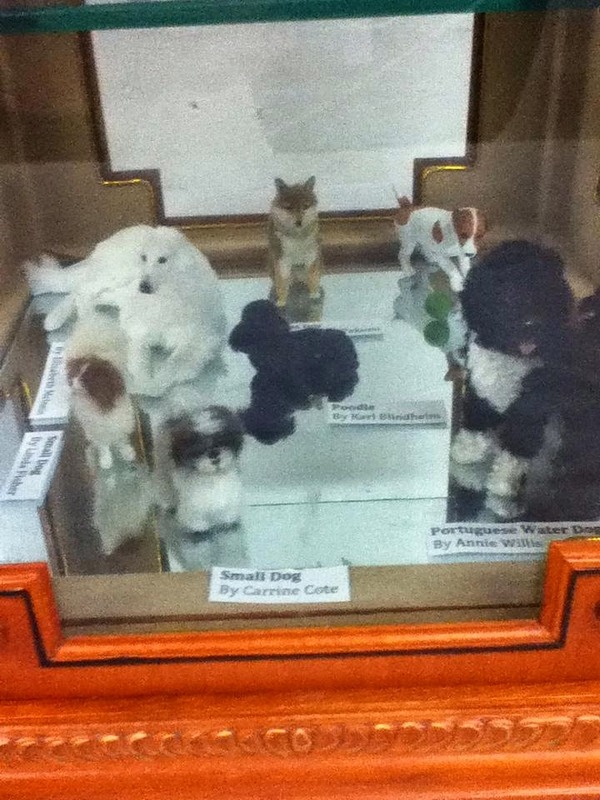 Last month, I went to the Kingston miniature show and had a blast. I was looking at a display of private collections, after having fun with the scavenger hunt, when I stumbled upon a familiar felted face. 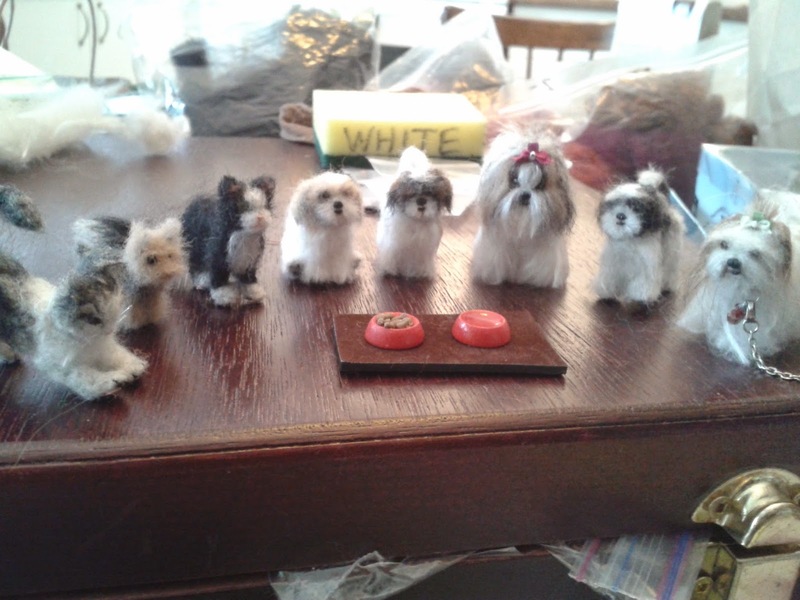 Why, it was one of my miniature felted puppies that I sold at the Montreal show! I was very honnored to see that its new owner wanted to show it off. He looked very happy with his new family!